Every year at this time, Wine.com runs a one-cent shipping special — you buy any 12-bottle case of wine, it’s shipped to you for a penny. Why they don’t just make it free, I have no idea, but it’s a damn good deal nonetheless. However, the deal only runs from now through Thursday, September 10th, and you have to enter a special code to get it. Get 1 cent shipping on any 12 bottles. Enter code SHIP12 in your shopping cart. Hurry, offer ends 9.10.09. I’ll also keep a banner up on the top of the site between now and Thursday, for your convenience. Sorry for the late notice, but if you read this in time and subscribe to XM or Sirius satellite radio, you can hear Mary Ewing-Mulligan MW on the Martha Stewart Morning Living show, which begins at 9:30 AM EST on Friday, September 4th. Mary is a Master of Wine (meaning, she’s a goddess among geeks) and the co-author of Wine For Dummies (as well as several other outstanding wine books) and the president of the International Wine Center. This is a rare opportunity to hear a Master of Wine for free, and you will have the chance to call in with your wine questions. So if you read this in time, be sure to tune in to XM 157 or Sirius 112 at 9:30 AM EST today (Friday, September 4th). A new winery is playing their version of “Name That Tune” … except, the game is called “Name That Winery”. The Washington Wine Company is running a contest to name their new winery, which is scheduled to open in Woodinville Wine Village, Washington State, in 2008. The contest runs from April 6â€“May 30. The winner of the contest will receive two cases of the winery-to-be-named-later’s best wine each year for a decade. The prize will also include an annual private wine tasting hosted by winemaker Jeff Schackman when the winners come in to pick up their yearly cases of wine. 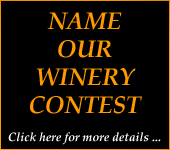 Go to the Washington Wine Company website for details and to enter your suggestion for a winery name. Who knows, you may win two free cases of wine for the next ten years. Good luck! Kumala — a winery in South Africa — is offering free wine charms to those who successfully complete the Kumala Safari Challenge, which is an 8-question quiz pertaining to facts about South Africa. Offer is valid only in the USA, and the questions are pretty easy. I’ve never had anything from Kumala so can’t comment on the quality of the wine. But the charms might be nice, especially for your next wine party — this way you’ll know which glass is yours once it leaves your hand. You can try getting free access without giving your email here, but if that doesn’t work, you’ll have to go to the Wine Spectator website and sign up the legitimate way. The access is only good till the end of October, so you’ll want to take advantage sometime this weekend. What you’ll get is access to all of the wine reviews (instead of a small part of their database), their “insider blogs”, “Advance” and “Insider” newsletters, and any other section of the site that you normally wouldn’t be allowed to see without paying a subscription fee.